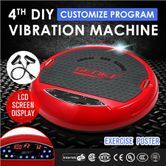 Let the Genki 4th DIY Ultra Slim Vibration Machine Platform Red help you get the body you have always wanted. Designed to give you a full body workout in the comfort of your home it is equipped with a powerful yet quiet motor. 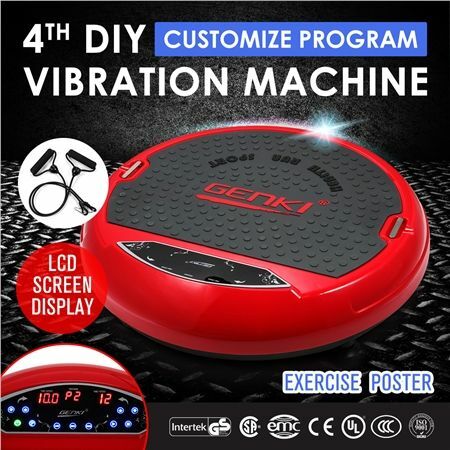 Featuring multiple levels of vibration to adjust to your fitness level and increase muscle contractions this machine gives you a full body workout in a short space of time. The smooth gliding rollers make moving it easy while the rubber protective surfaces prevent it from sliding as you exercise. This simple fitness machine is an ideal addition to any home workout routine. 3 Pre-Programmed Workouts Included + User Programmable Workouts! Have been using this item every day since it arrived. due to needing 2 knee replacements I can use this sitting down. Hopefully it will help me loose some weight.